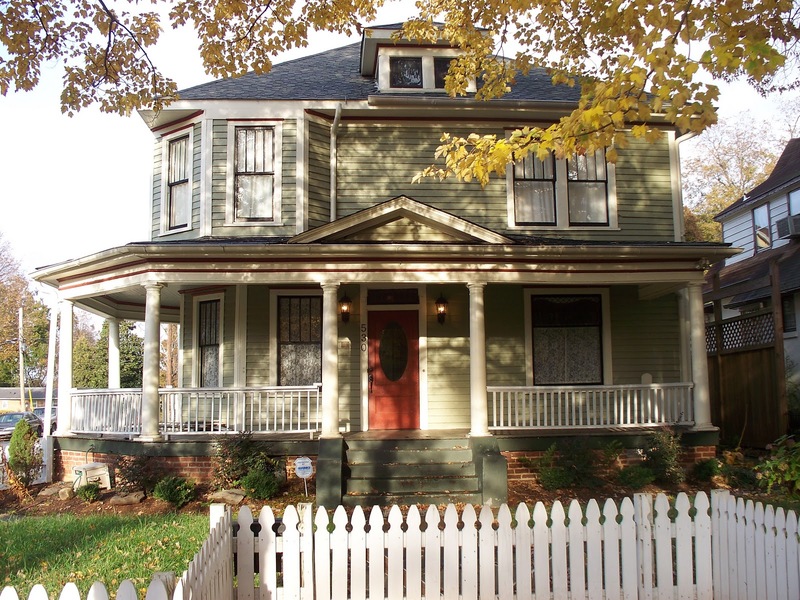 The historic two-story wood frame home with wrap-around front porch at 530 West Monroe Street in Salisbury NC, circa 1925 Lash House, is now for sale and represents a special opportunity to own an historic home in central North Carolina. 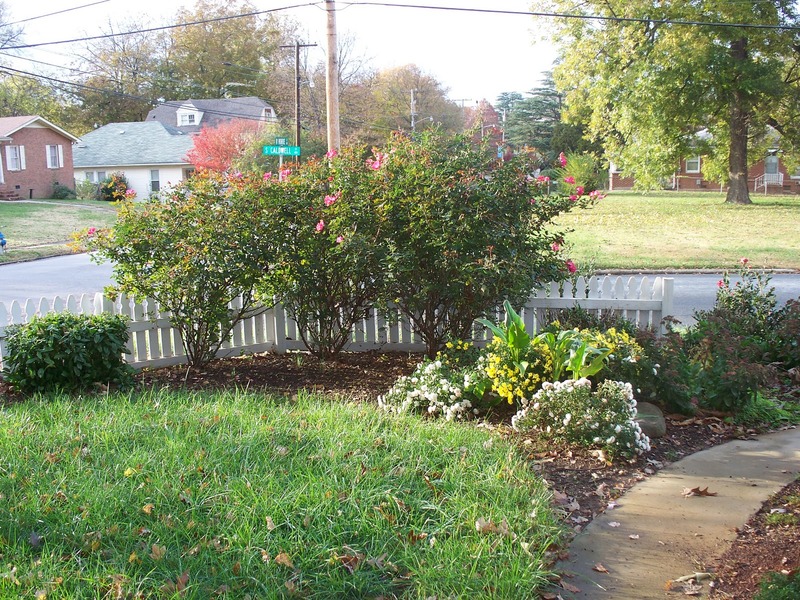 This spacious 2,600-2,700 square foot structure was the boyhood home of Wiley Lash (1908-1995), owner of an East Council Street grocery, a member of the Salisbury City Council and the city’s first black mayor. Wiley Lash’s descendants donated the home to Historic Salisbury Foundation (HSF). At the time of donation, the home was divided into two apartments. It was included on the very popular Historic Salisbury Foundation’s October Tour 2003 as a work in progress. The Lash home is decidedly the jewel in the crown of this Livingstone College neighborhood. 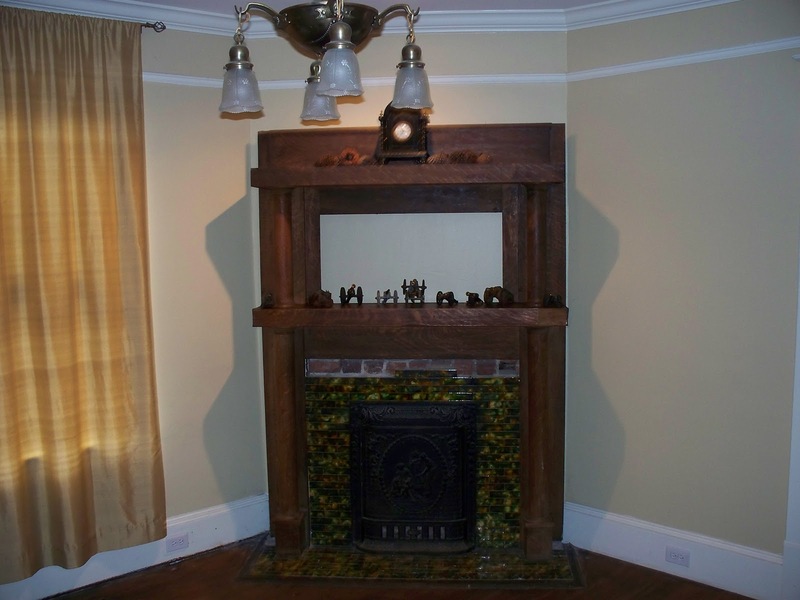 Owners of this historic home will enjoy a fully restored dwelling with ultra-large rooms, (3) bedrooms and (3) full bathrooms, fireplaces with beveled mirrors and original mantles and tile work, and a superb wraparound front porch. The home’s wonderful 18.3 x 9.10 eat-in kitchen includes a butler’s pantry converted to a wet bar with built-in wine racks and wine fridge, built in china closet, and sunny 7’ x 6’ breakfast nook. 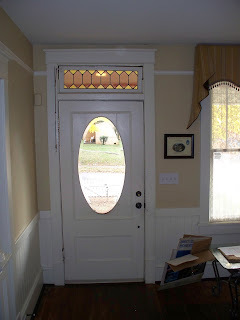 Original leaded glass windows and transoms abound, many with stained glass panels. Many of the rooms have bay windows. What a great floor plan for both living and entertaining! The living room measures 15.4’ x 14’, the dining room is 17.5’ x 13.7’, and the den is 14.10’ x 13.10’. There are (3) first floor fireplaces with gas logs to add to the ambiance. The wraparound porch is a very special feature of this wonderful home, overlooking a newly landscaped yard with a gently curving stone retaining wall and front picket fence. The master suite includes the large 15 x 14 foot bedroom, a sitting/dressing room, currently used as an office, with a modern closet system, and a fireplace. 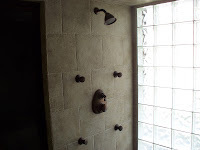 The large master bath has a seating area, stone tile surrounds and floors, mixing historic features with ultra-modern in its blend of the multi-head shower system with body-spray jets and its claw foot bathtub. Circa 1925 Lash home went through extensive restoration in 2005. 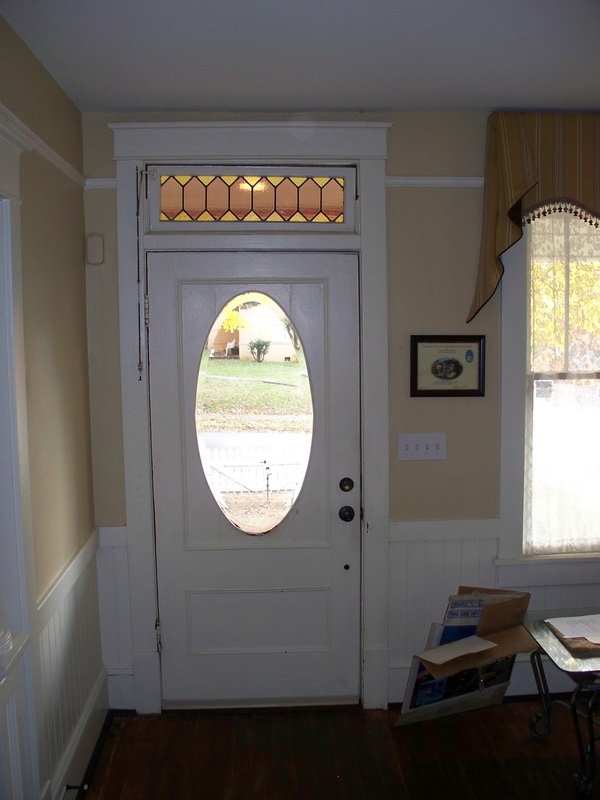 The owners, one of whom was the recent Executive Director of the Historic Salisbury Foundation, retained and restored a built-in china cabinet, and all of the pocket doors, as well as performing structural repairs to the flooring, interior, and porch. The owners completely rewired the home, highlighting all original lighting fixtures with additional recessed lighting, and providing modern living conveniences. 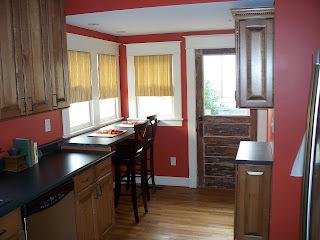 Floors and woodwork were hand-scraped (no sanding) and oil-refinished throughout. The kitchen, baths, and laundry have undergone full renovations. A door to the left of the present front door was removed and replaced with the original window, found in the basement complete with casings, jambs, sashes, and sash weights. The historic Lash House sits between the West Square and Livingstone College Historic Districts. Its most prestigious neighbor is the beautiful Livingstone College and Carnegie Library. Livingstone College was founded in 1879 under the name Zion Wesley Institute. In 1887, the school changed its name to Livingstone College in honor of Dr. David Livingstone (1813-1873), a well-known missionary, philanthropist, and explorer in Africa. Livingstone’s campus is housed on 272 acres consisting of 21 brick buildings. In 1982, seven campus structures were listed on the National Register of Historic Places, including the oldest building on campus: Dodge Hall, built in 1886, and the founder’s former home, built in 1884. Andrew Carnegie founded the Carnegie Technical Schools in 1900, later called the Carnegie Institute of Technology, and today known as Carnegie Mellon University, and funded a limited number of academic libraries. The Andrew Carnegie Library in Salisbury, North Carolina was constructed in 1908 as the academic library of Livingstone College This was the only academic library permitted to use the donor's first name as part of the name of the library and one of only two libraries, constructed by Andrew Carnegie, to have that honor. The only other library permitted to use the donor's first name as part of the name of the library (and, hence, the only public library to hold that honor) is the Andrew Carnegie Free Library and Music Hall in Carnegie, Pennsylvania (a suburb of Pittsburgh). Historic Preservation Covenants and restrictions are in place on this home. For just $184,000, you can surround yourself and your family with the features of this special historic home. Contact Greg Rapp at 704.213.6846 for a firsthand look at this opportunity to own the jewel in the crown of the Livingstone neighborhood.